How to get rid of the baking-hot summer? The ice bandana will tell you the answer. Applying cooling technology to this cool bandana, dog's skin heat goes out at once. Besides, the blue water ripples on it add a nice touch. Don't hesitate indulge your furry friends with this cool ice bandana. 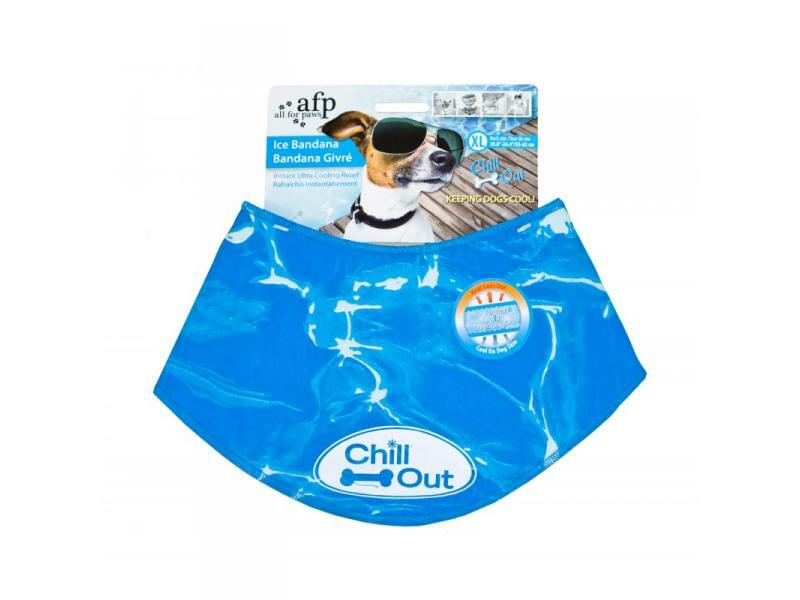 Below are some recent questions we've received regarding All For Paws Chill Out Ice Bandana, including answers from our team. The bandana incorporates special cooling technologies to provide a cooling effect, without the need for wetting or chilling.